Vous souhaitez poser une question à l'établissement Bibury Resort ? Durant votre séjour à Ratchaburi, vous vous sentirez parfaitement bien au Bibury Resort, dont les chambres et le service sont d'une qualité hors pair. De là, les clients peuvent facilement se déplacer et profiter de tous les avantages offerts par cette ville dynamique. Grâce à son excellente situation, l'établissement permet de se rendre facilement sur les sites incontournables de la ville. Profitez d'une multiplicité de services et d'équipements incomparables dans cet établissement de Ratchaburi. Pour le confort de ses clients, cet établissement propose WiFi gratuit dans toutes les chambres, ménage quotidien, WiFi dans les espaces communs, parking, service en chambre. L'atmosphère du Bibury Resort se retrouve dans toutes les chambres, et télévision écran plat, accès internet (sans fil), climatisation, mini-bar, rideaux à occlusion totale ne sont que quelques-uns des équipements disponibles à travers l'établissement. Grâce au vaste éventail de loisirs proposé par l'hôtel, les hôtes ne manqueront pas d'activités durant leur séjour. Découvrez le superbe mariage entre un service impeccable et une belle gamme d'équipements au Bibury Resort. I would say that we’ve just had the best stay in SuanPeung and I can guarantee that! K’Na, the owner, was very helpful and kind as she toured us around the resort . The place has a small lake that you can have a cup of tea, row a boat, feed geese, or just chillax near the lake. We also had some fire camping which K’Na had provided and facilitated everything for us. Commodities were nice and the room was very neat and we can see that dedication clearly. We strongly recommend you to stay here, though small, but warm welcomed stay at Bibury resort and we will be returning very soon! I would say it’s really good weekend to stay here with family. Comfy & good service mind of owner as host :) The evening twilight was so impress. Personally, I enjoy play/ feed ducks & geese breakfast! First time staying in this hotel although I have been to Khao Yai many times. Never had such bad experience with other hotel. When entering the room, there was a very strong musky smell which was really unbearable. We had to use the mosquito repellent to spray around otherwise I don’t think I will be able to stay in the room. Another unpleasant experience was the water, it was so so dirty filled with rust coming out from the tap when I prepared the bathtub. This resort is very quiet, beautiful and good for relaxation but with this price and condition, I can easily find another hotel. Glad we only stayed for one night if not I would have to change hotel. Room is very clean, service is great, view and location are very nice. I'm very happy with that. It's very calm and very good place for taking rest. Not too much customer due to there is only 8 rooms. My family and I love this! This accommodation is totally suitable for anyone who loves privacy since only 8 rooms are available for guests. This place is as if you were travelling to an English-country house surrouding by nature. The hotel owner, Khun Na, is so lovely and helpful. She gave us so many useful information about touristy spots, restaurants and souvenir shops nearby. The room was clean and the weather was cool in December due to its location situated among trees and shallow stream. Very recommended. 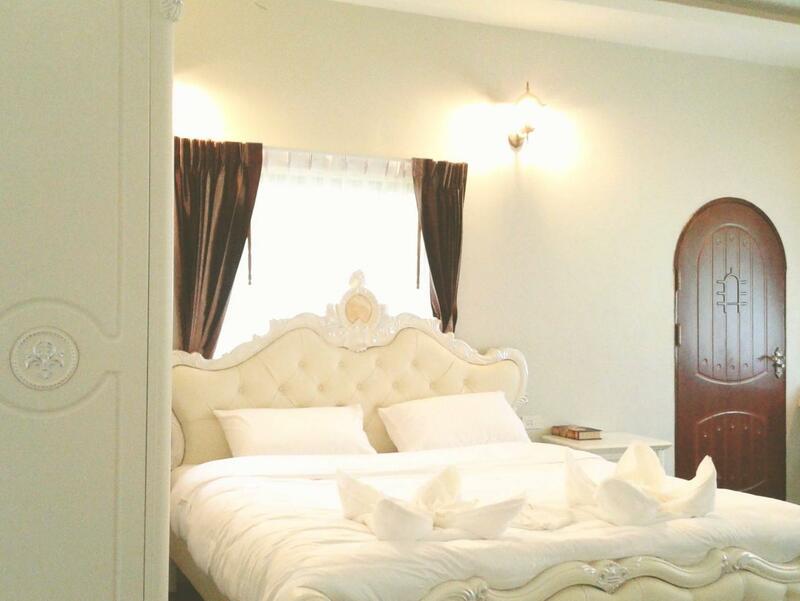 The resort is pretty small but beautiful located near many landmarks in Suan Phueng. Sitting nearby the canal is such a relaxing moment. The room is cozy, clean and nice. There are a bunch of adorable ducks walking around which we can collect their eggs in the morning. The breakfast is good. Importantly, the owner including staff are extremely friendly and helpful. I would suggest a keycard system for easier access the room and electricity saving. Btw, we will definitely go back in winter. Pleasent Hotel. Nothing really to complain about. No restaurant, but who would need one when you only have 8 rooms and when you are so close to the major restaurants. The owner will explain whatever you would need to know and will go above and beyond what you could expect to make and keep you happy. The resort is clean and beautifully built like English cottage. Most importantly, the owner is incredibly friendly and service minded. She took care of every single detail about us. I've been to so many famous hotels and resorts, but haven't thought of giving the review. 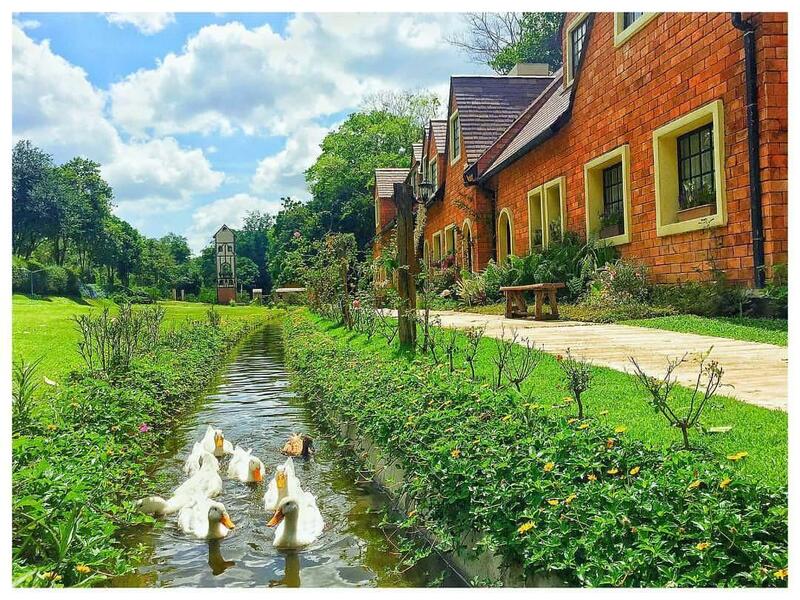 If you have a chance to go to Suan Phung, Bibury Resort is the only place!!! Not a resort but situated at good surrounding location. Don't expect a hill resort. They don't have in house kitchen or a restaurant. But they provided a good fixed set of American breakfast. I would suggest to get accommodation near to the resort waterpark. That area is on the top of the hill and have more scenics views. The owner is very nice. She expluthe faciloand suggested good restaurants/cafe in very detail. Thr small river at the resort is very clear and provide nice view. Goose is lovely. Pros: small hotel but beautiful, clean, owner is very friendly Cons: Room connected to each other, wall is very thin, you can hear noises. P'na(host) is soooo kind with greated service mind. Strongly recommened !! p'Noona (the owner) is very friendly. The resort is closed to the Scenery Farm. Food was good. We enjoyed our stay even though it was very hot during summer. I chose this hotel based on the many positive reviews from previous guests and it really was a great decision. The owner Na goes above and beyond to make your stay as pleasant as possible including excellent recommendations for activities and places to go in the area (with her own hand drawn map). I stayed 2 nights with my wife and 2 year old boy. The setting resembles an English style country house and my child had lots of fun chasing the ducks or kicking a football up and down the grass lawn. Lots of beautiful flowers, fish and butterflies too. And a swing near river. Didn't get to go in river due to rainy weather but an option for next time (has canoes too!). 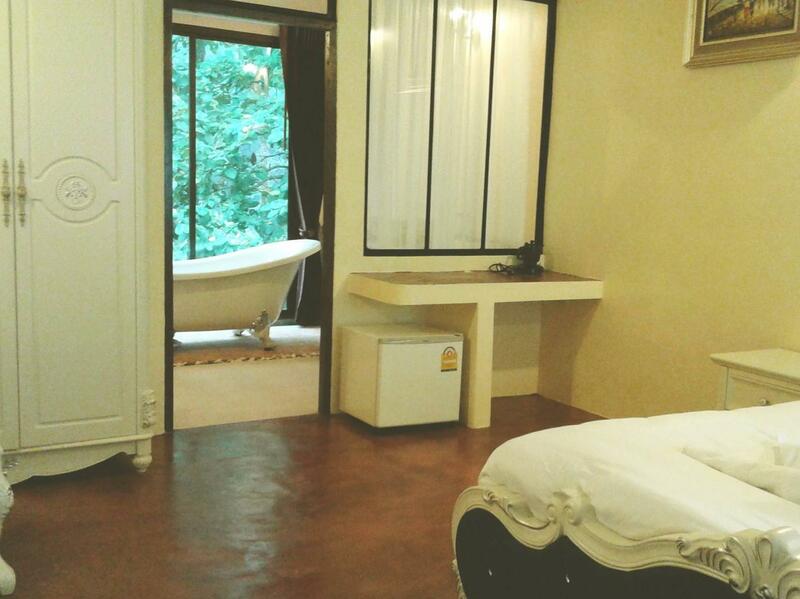 The room is clean with a lovely bath next to big window so can bathe feeling right next to nature. My boy played in the bath for hours. Room and bed are very clean and comfortable. Breakfast is standard/decent for Thailand. Host is amazing. Only thing that was missing was lounge area (no chairs in room). Highly recommended!